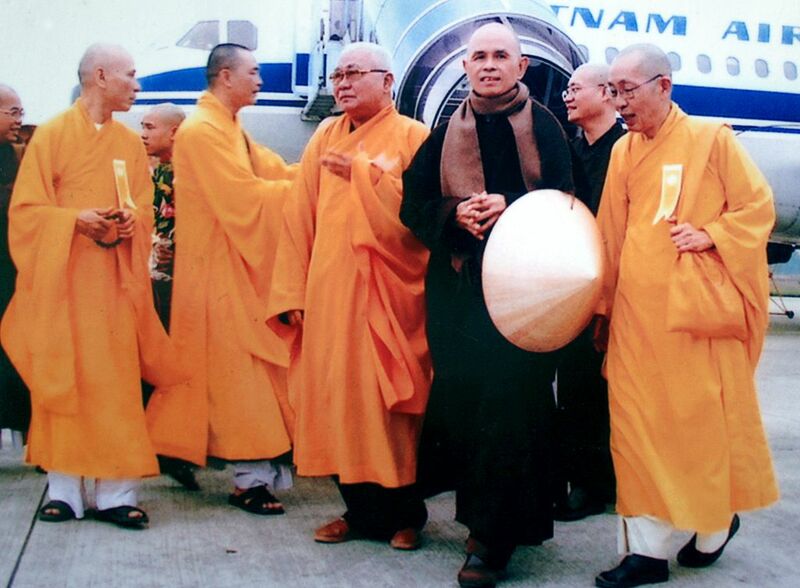 Thich Nhat Hanh at Hue City, Vietnam (2007). Picture sourced from Wikimedia Commons. It has been forty years since the fall of Saigon, a significant anniversary for the Vietnamese communities around the world, and an event that has also provided me much food for thought. But Australians have forgotten the poor human rights record of the Vietnamese government, which continues today. On the eve of ANZAC Centenary commemorations last month, it was reported 46 Vietnamese asylum seekers disembarked in the port city of Vung Tau, after the Australian government decided to send this boat full of asylum seekers back to Vietnam. In doing this, Australians have become complicit in oppression taking place there. There was a four-year period from 2006-2009 when the country opened up and invited the prominent Zen Master in exile Thich Nhat Hanh to do a tour of the country. Hanh conducted Great Ceremonies of Mourning for all those affected by the war. The reception of the ceremonies depended on which city you were in, in Ho Chi Minh City main streets were blocked off to provide for the tens of thousands there. In Hanoi the ceremony location was changed to being two hours away from central Hanoi. Some believe that Hanh’s welcome in Hanoi was to get Vietnam off the UN blacklist for religious oppression and then Vietnam would be able to belong to the World Trade Organisation. However, in late 2009, Prajna Monastery in Bat Nha, which is auspiced By Hanh, was destroyed by the Vietnamese government , after monks were subject to police interrogations, violent attacks, and threats of eviction. At the time Vietnam was the Chair of the UN Security Council. Wikileaks has revealed that the US Embassy was fully aware of the situation but did nothing. Internationally, it is only in France, where Hanh is in exile, that media coverage has been present. The New York Times ran one column, and in Australia there was nothing in traditional media. In Australia, Vietnam nowadays is known as a cheap holiday destination. The acceptance of Vietnamese Australians range from Thien Do, the CLEO bachelor of the year, to Hieu Van Trieu, the Governor-General of South Australia. Anh Do’s autobiography of being a boat person was the best selling book for 2011. You can have phở in most major cities in Australia. Everywhere are signs of the Vietnamese community’s success. But if the previous Minister for Immigration and Border Protection Scott Morrison or his successor Peter Dutton had had their way in the seventies, we would have been complicit in the re-education camps. Australia can do better than to pander to a government like Vietnam. Australia cannot challenge Vietnam’s record when we have been given human rights warnings by the UN. The loss of Malcolm Fraser is deeply felt amongst former refugees. But we can be aware of what goes on in our name and ensure that people remember that once we were humanitarian and free.